A Google Maps Help thread reports there is a bug with a certain type of street views output. The output=svembed option, which can be used to show Panoramio images and works well in Flash, seems to be blurring the images. The person in the thread linked to an example but his major complaint is that the images on his site look blurry. 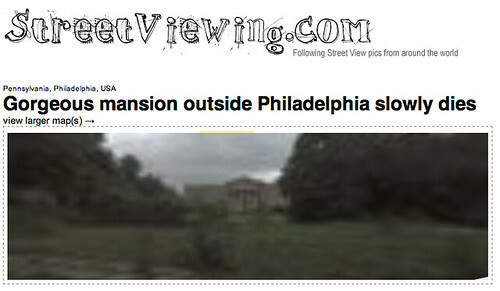 His site is streetviewing.com and as you can see, the views aren't too clear. Great news! Our Street View team has located the problem and a fix is in the works. If all goes well, this should be resolved by the end of the week. If I hear any additional information, I'll share it here. Again, I apologize for any inconvenience. Thanks for your continued patience. I should also add, some people are having issues with the beta distance measuring tool.